University of Notre Dame medical entomologist Nicole L. Achee is a member of a committee convened to summarize the scientific discoveries related to gene drives and considerations for their responsible use. The National Institutes of Health (NIH) and the Foundation for the National Institutes of Health asked the National Academies of Sciences, Engineering and Medicine to convene the committee. The committee report, titled “Gene Drives on the Horizon: Advancing Science, Navigating Uncertainty and Aligning Research with Public Values,” was released Wednesday (June 8). Gene drives are systems (either existing in nature or human-made) that transfer genetic material from a parent organism to its offspring through sexual reproduction. The result of a gene drive is the preferential increase of a specific trait from one generation to the next, which therefore can spread throughout the population. The report is intended to be used as a tool by the general public and professionals alike who are either interested in gene drives or directly involved with their evaluation, development and use. It is based on six core themes: values, science, phased testing, risk assessment, public engagement and governance of gene drives. Gene drive systems are being proposed to solve a number of problems. These include challenges in public health, agriculture and conservation. Achee’s research focuses on preventing and controlling human diseases caused by arthropods, such as mosquitoes. 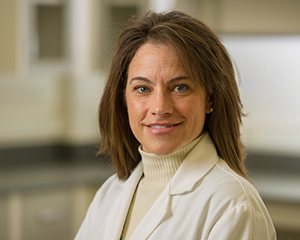 She is research associate professor in Notre Dame’s Department of Biological Sciences and a faculty member of the University’s Eck Institute for Global Health. The National Academies of Science invited her to participate in the study based on her expertise in mosquito ecology, international field-based research and global health. Originally published by William G. Gilroy at news.nd.edu on June 08, 2016.